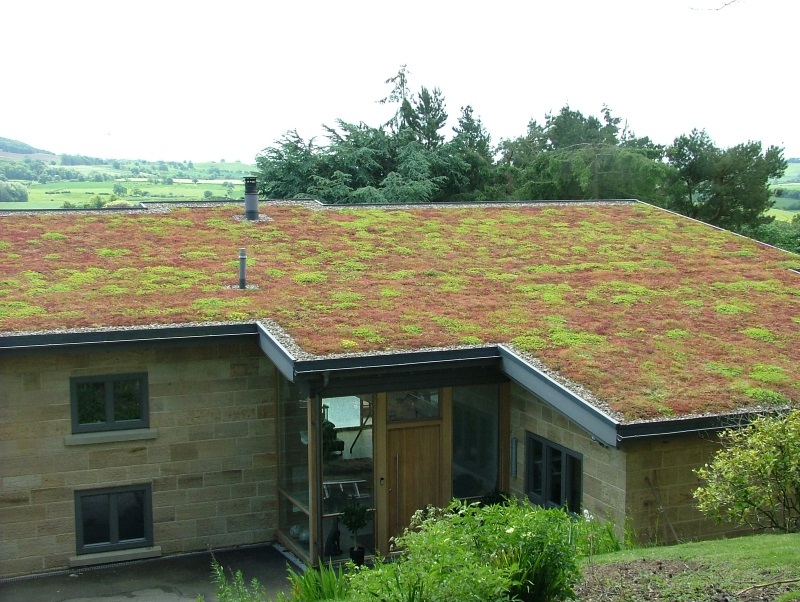 There are many different names for green roofs, including living roof, biodiverse roof, garden roof and sedum roof. However, green roofs are generally split into two main camps which are intensive green roofs and extensive green roofs. The intensive green roof provides a space for grass, plants, shrubs or even trees and ponds. Also known as garden roofs, they are deeper, can support a wider variety of plants and are therefore heavier and require regular maintenance. Large intensive green roofs will require as much attention as a regular, ground-level garden. Extensive green roofs, also known as sedum roofs, is a roof system which uses a thin layer of growing medium to house shallow-growing sedum plants. 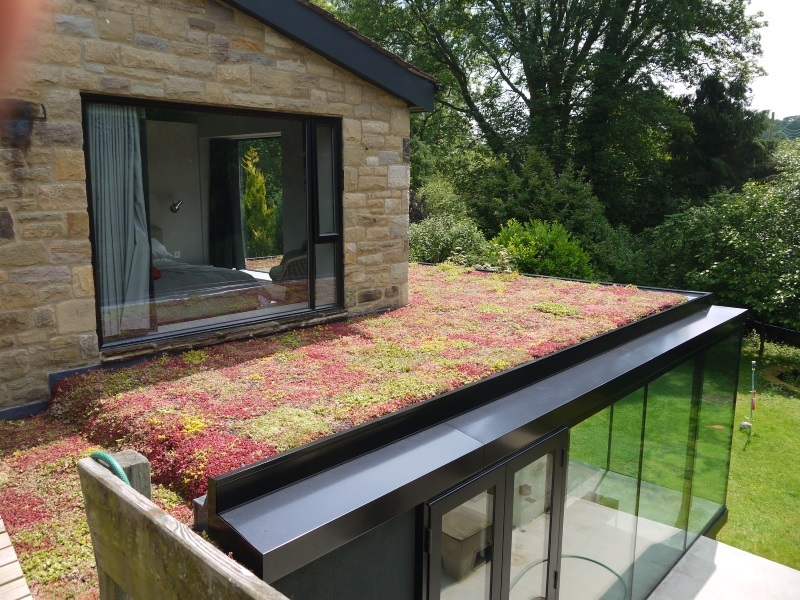 They require less maintenance than intensive garden roofs, as sedum is very self-sustaining and draught resistant. All types of green roofs are also known as living roofs because, as their name suggests, they create microclimates for wildlife such as birds, insects and fauna. They are becoming increasingly popular in cities across the UK, as plants are not only pleasing to look at but are also a natural and effective way to help tackle climate change. If you’d like to learn more about types of green roofs or would like to discuss your project in more detail, use the web form or call one of our friendly roof experts on 01924 270 822.